High-end British luxury now comes with a charging cable. Bentley has just unveiled its first plugin hybrid, the Bentley Bentayga Hybrid. Bentley plans to eventually make plugin hybrid versions of all its models, but its starting with its big SUV. It's powered by a 3.0-liter V6 engine assisted by an electric motor, rather than the 8- or 12-cylinder engines available in other versions. The Bentayga Hybrid can be driven in three different modes. In EV mode, it can drive under electric power alone for 31 miles, according to European driving tests. Hold Mode maintains the charge in the battery so the Bentayga can be driven later in EV Mode. In Hybrid Mode it will drive like a regular hybrid vehicle, relying on a combination of direct gasoline power and electric power the SUV itself generates. The Bentley home charger was designed by Philippe Starck as a "functional piece of art." Satellite navigation information is used to calculate the best use of gasoline and electric power during a journey. For instance, battery power could be saved for use in "low emissions zones" in cities. (London, for instance, could institute these sorts of "EV only" zones as early as next year.) The SUV can also use up remaining battery power as it approaches a charging station at the end of a journey. 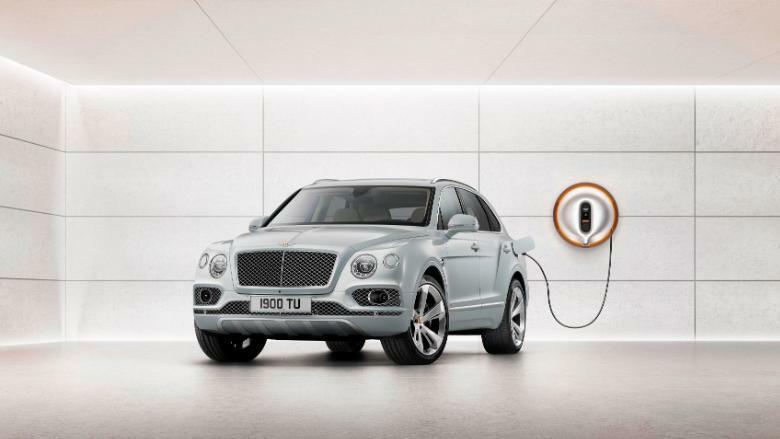 The Bentley home charger, designed by the famous industrial designer Philippe Starck. The manufacturer describes it as "a functional piece of art that will enhance any home." Copper-colored badges indicate an electrified Bentley model. Copper-colored "Hybrid" badges on the front doors and tailgate, as well as copper-finished wheel centers and Bentley badges, mark it as an electrified model. 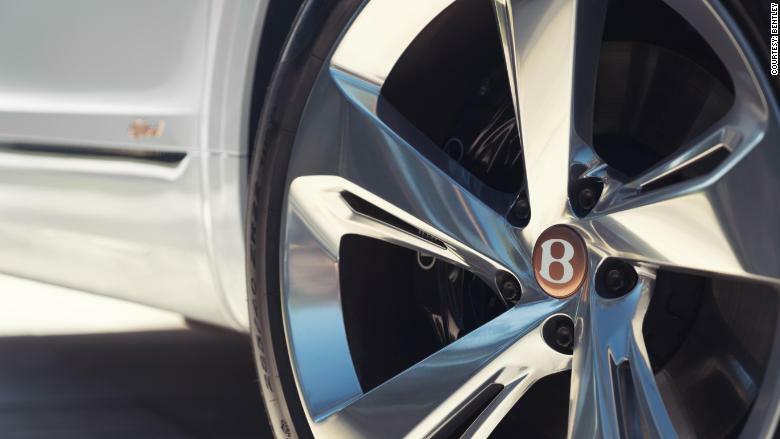 Bentley has used copper accents on its hybrid and electric concept vehicles, as well, treating the electrically conductive metal as a symbol for plugin power. The Bentayga Hybrid will, of course, have the usual opulence associated with a Bentley. The seats will be covered in leather made from the hides of bulls -- never cows because they can have stretch marks -- raised in cool climates where mosquitoes don't leave scars. The rear seats are adjustable 18 different ways and have footrests and massage functions. 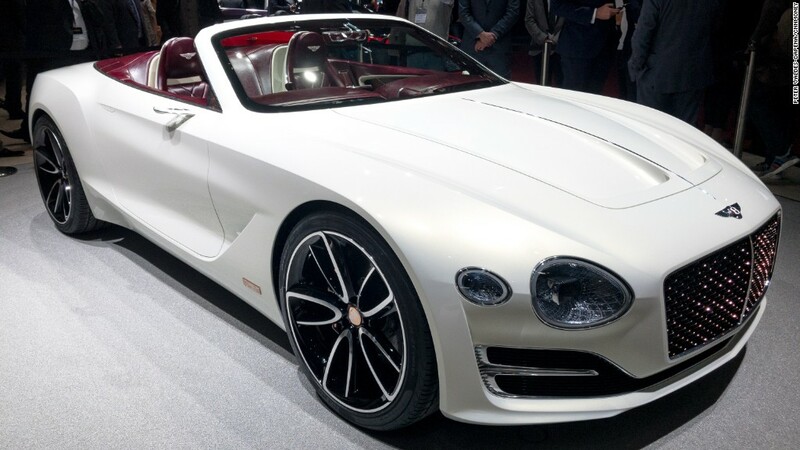 Bentley, along with Bugatti, Lamborghini and Audi, is part of the Volkswagen Group.